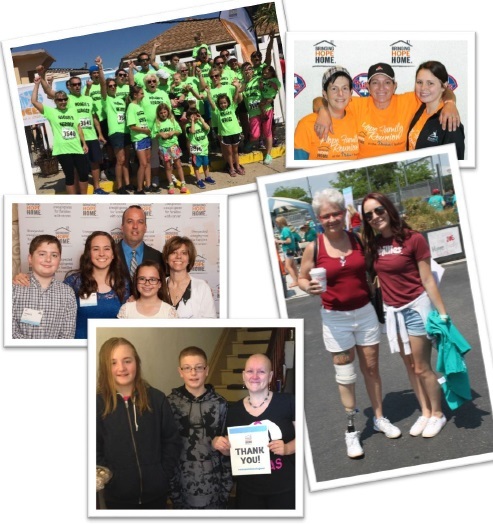 Each month, we support families that are struggling to afford basic necessities, in addition to dealing with the extremely demanding financial and emotional toll of cancer. Here at Bringing Hope Home, it is our vision that no family has to choose between paying household bills or buying groceries while undergoing cancer treatment. Join us in making a direct impact by committing to a recurring gift, as small as $5 per month (details below). You will receive a 100% tax deductible receipt along with the story of the family you helped. An automatic deduction will be made from your credit card monthly. Members receive exclusive BHH updates, event discounts and more! Begin making an impact today! Real families need real supporters like you to make a real impact!